Low back pain can come on suddenly, often without a known injury, and can bring a person to their knees. Sometimes 1 small move can cause horrific pain that renders the person immobile and they are not sure where to go or what to do. 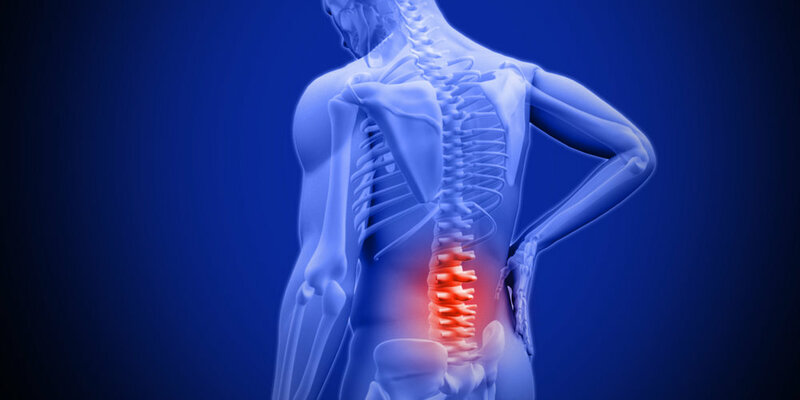 The following are 5 exercises that can help with low back pain – but people should listen to their body and not push through pain, especially in an acute attack. Piriformis stretch #1: Cross 1 ankle over the opposite knee, then reach through and hold under or over that knee and pull it towards your chest. Hold for at least 30 seconds and relax your upper body and head while breathing. 2. Piriformis stretch #2: Draw your knee to your chest and pull the knee towards your opposite shoulder. Hold for at least 30 seconds and relax your upper body and head while breathing. 3. Supine twist – lay on your back and grasp your knee with the opposite hand. Pull your knee across while allowing your back to twist. Leave your other arm laying out to the side and look towards that hand. Hold for at least 30 seconds and relax your upper body and head while breathing. 4. Child’s pose – Start on your hands and knees with your knees wide and toes together. Keeping your hands in the same place, slowly lower your buttocks towards your heels. Hold for at least 30 seconds and relax your upper body and head while breathing. 5. Cat/cow: Start on your hands and knees. While breathing in, raise your back towards the sky and drop your head. Then while breathing out drop your stomach towards the ground and raise your head. Repeat 5-10 times each. Many people know that chiropractors work with back pain, but what can a physical therapist do? Dr. Lisa Wilcox, physical therapist, specializes in dry needling, joint mobilization/manipulation, myofascial release, soft tissue mobilization, cupping, taping and other treatments. She will complete a full posture, range of motion, flexibility and strength assessment to determine the source of the pain. Dr. Wilcox always utilizes hands-on techniques (also known as manual therapy) to decrease pain, reduce swelling and improve mobility. Afterwards, she teaches her patients exercises that they can complete easily at home so that they can continue to improve their symptoms, strength, stability, mobility and prevent the pain from returning in the future. The exercises listed above can be very helpful and there are many more that may be better for your specific situation. If you are in need of further treatment or have questions about these exercises, please contact Dr. Lisa Wilcox with Solstice Physical Therapy at (720) 369-7738 or email info@SolsticeHealthcareResources.com. *Special thanks to hep2go.com and Yoga Basics for exercise images.